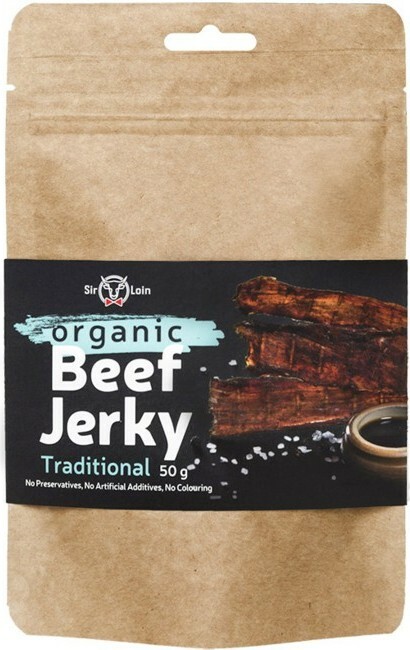 Classic Beef Jerky, seasoned with Worcestershire sauce! 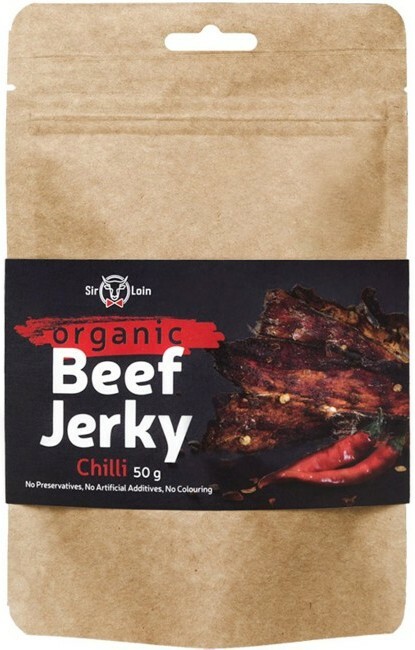 SirLoin Organic Beef Jerky combines maximum enjoyment with a genuine closeness to nature. 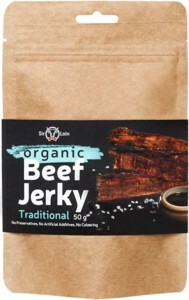 Only the best parts of organic beef are used and refined with carefully selected spices. 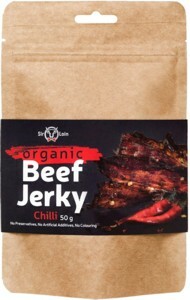 It does not just taste great, but is also a very high-quality protein source, while being very low in fat and calories. 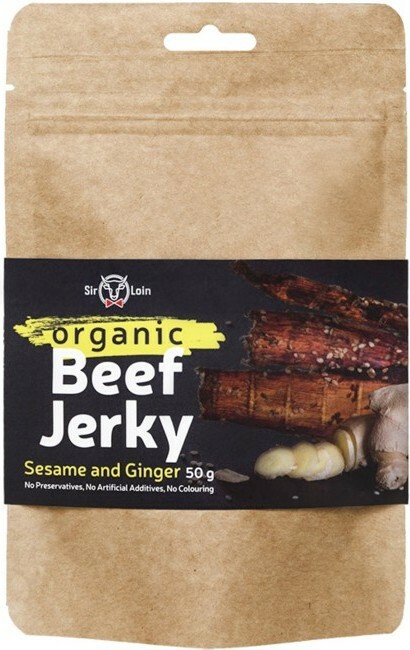 This combination makes SirLoin Beef Jerky a nutritious and healthy snack for any occasion. Chilli Pepper ensures a fiery taste experience! Sesame seeds and ginger make this Jerky unique!